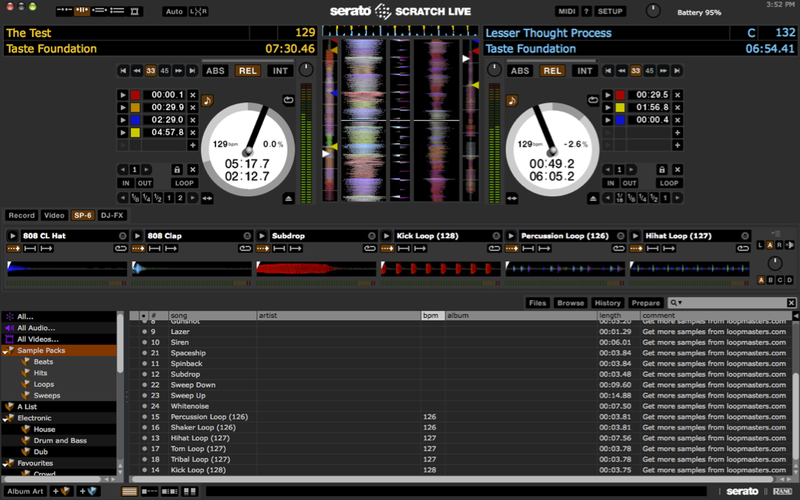 Note: Serato Scratch Live has been replaced with Serato DJ. Serato Scratch Live 2.5 comes loaded with a bunch of key features including: Support for Serato Remote, free Loopmasters sample content, plug-and-play support for Pioneer CDJ-2000nexus and MIDI Output Lighting. What's in Scratch Live 2.5? 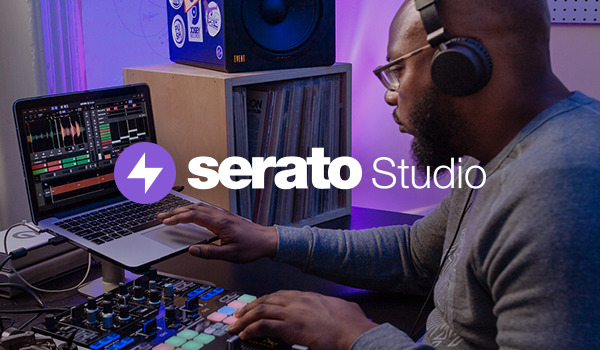 Serato Scratch Live users have support to download and use Serato Remote - Serato’s first official App for iPad®. Designed to compliment an existing Scratch Live setup, Serato Remote will connect seamlessly to your Serato laptop software and work with all supported Scratch Live hardware. Serato Remote lets you see and perform all of your favorite Scratch Live functions without needing to touch your laptop. Control Cue Points, Loops and Samples. Load tracks and manipulate FX in ways that weren’t previously possible. See Serato’s famous Virtual Decks and Track Overviews so you can focus on the crowd and free yourself from your laptop. Have control at your finger tips and enhance your Scratch Live performance. Serato Remote can be connected wirelessly freeing you to move around the stage or connected over USB for ultra low latency. Designed with real world performance in mind, using big easy to hit buttons focusing on the most important performance features. Serato Remote is available now and can be downloaded direct from the App Store℠ for USD 19.99. To watch Rui from Serato use Serato Remote, and for more information visit serato.com/remote. With Scratch Live 2.5 you can throw away your control CDs and connect your Pioneer CDJ-2000nexus directly to your laptop. Tightly mapped software controls give you low latency control over performance features in Scratch Live. Control your Scratch Live library with your CDJ-2000nexus. See full color album artwork, waveform, cue/loop points and other important track information on the CDJ-2000nexus color display. Now supported with Scratch Live 2.5 MIDI Output Lighting enables the LEDs on your MIDI controller to light up when used with Scratch Live. We've teamed up with our hardware partners to provide you with some presets for some of the coolest controllers out there. You can also read this blog post for more information on how to use the presets. Scratch Live 2.5 comes with FREE samples from Loopmasters. Get 24 of the best Beats, Hits, Loops and Sweeps, free to you when you download the Loopmasters sample content installer. Download the sample content from within the Scratch Live 2.5 download and the samples will install straight to your Serato library as a crate. For more information on how to get the sample content have a read of this Loopmasters blog post. Alongside these key features Scratch Live 2.5 also includes bug fixes to continue the unparalleled level of stability and performance that Serato software is known for. Mixtape .als recordings now work with Ableton Live 9. Fixed a bug where the beatgrid lock wasn't being saved and loaded to/from the file; it was only being saved to the database. The Sixty-Eight record source is now correctly loaded from preferences. Fixed a bug where the CDJ-350 was sending both MIDI and HID messages which meant it could possibly fire two different Scratch Live events at the same time. Fixed a bug where the DJFX deck assignments wouldn't save to preferences if going from being 'on' initially, to 'off'. Read the full Scratch Live 2.5 release notes. The Scratch Live installer will not work on OS X 10.11 El Capitan. It looks like you're on a mobile or tablet. Scratch Live is a desktop app, so you'll need to download it from your computer. *Operating System support assumes you are using the latest point release.